As seen below, after winning their debut as a team on last night's episode of WWE NXT, Candice LeRae & Kacy Catanzaro make clear that their goal is to win the WWE Women's Tag Team Championship. LeRae and Catanzaro had a reality check handed to them by Peyton Royce, who responded to them on Twitter. Sasha Banks situation remains unchanged, but Dave Meltzer noted in the Wrestling Observer Newsletter that WWE is not reacting much to her and their stance is if she wants to sit out for the rest of her contract then she is welcome to do that. The problem for Banks is that WWE could freeze her contract until she returns. Rhea Ripley took to Twitter today to issue an apology after she used a homophobic slur during a Twitch stream last night. Nia Jax will be undergoing surgery tomorrow. Jax is scheduled to go under the knife on Friday to repair both of her torn ACLs, according to Casey of Squared Circle Sirens on Twitter. 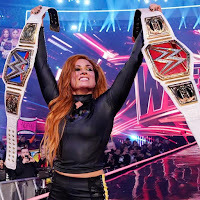 Her obsession with Ronda Rousey is not over yet, as Becky Lynch spoke with US Magazine and had some harsh words for Rousey. As seen below, Former WWE Superstar Eve Torres revealed on Instagram that she was the victim of sexual assault over a decade ago. It’s the first time she’s talked about it publicly but wanted to do so to raise awareness. Charlotte Flair has issued a statement to shoot down any speculation on her and Andrade being engaged. Gail Kim won the WWE Diva's Championship in her debut match, did two stints with the company, and has been named "the best women's wrestler in the world" by PWI Insider. So when she recently tweeted that Vince McMahon (and thus WWE) has "sh*tty booking," the wrestling world took notice. As noted, Charlotte Flair defeated Bayley on tonight's WWE SmackDown to earn a title match with Becky Lynch for her SmackDown Women's Title at WWE Money In the Bank on May 19. Becky will pull double duty that night as she defends her RAW Women's Title against Lacey Evans. 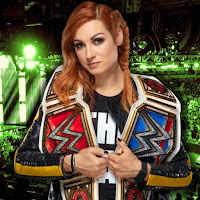 It's now official, Becky Lynch will wrestle twice at the Money in the Bank PPV, defending both RAW and Smackdown Championships. As seen on tonight's episode of Smackdown Live, Charlotte Flair earned a future title opportunity by defeating Bayley in single competition. Next week's WWE RAW will feature a special edition of "A Moment of Bliss" with Alexa Bliss revealing the participants for the men's and the women's Money In the Bank Ladder Matches. 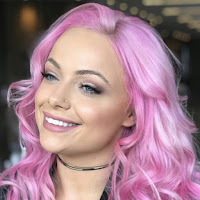 Dana Brooke, who wrestled Ruby Riott at last night's WWE Main Event tapings, took to Twitter and said she wants a spot at MITB because her turn is now. - Sasha Banks situation remains unchanged and a “stalemate” according to Wrestling Observer Radio. Ronda Rousey posted an update on her YouTube account and confirms that she suffered a hand injury, specifically a broken pinkie knuckle during the WrestleMania 35 main event. Rousey showed off four pins in her hand that will be there for four weeks. Lacey Evans sat down with Post And Courier to talk about a variety of things such as some difficulties growing up being on the road all the time and the message she would like to spread to the WWE Universe. You can see the highlights of the conversation below.